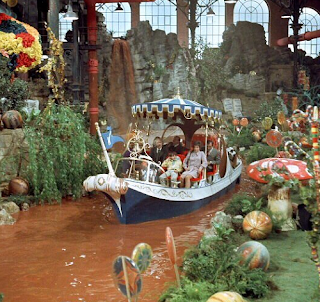 Willy Wonka and the Chocolate factory is one of my favorite movies of all times. I actually prefer the original; I felt it had more heart, but that's another story. I'll never forget when they first entered the chocolate room with that amazing chocolate river. An iconic scene that occupied many of my childhood dreams and continues to do so even as an adult. Take a look and you'll see Into your imagination" Gotta love it! This is why I'm amazed that I just recently discovered Chocolate.com. How I managed to have not known about this site remains a mystery. Chocolate.com is basically your one-stop chocolate destination. When it comes to all things chocolate, Chocolate.com features the best of the best. You will be delighted as you look through their large assortment of chocolates, every type, occasion, gifts, you name it they have it! I could spend all day on that site. They even have all kinds of candy and cake. Indeed the cyber equivalent of Willy Wonka's chocolate factory. "... an online emporium, complete with boutique sweets, recipes, and articles that run the gamut from the health benefits of dark chocolate ...."
"You can get just about any chocolate candies sold nationwide at the Chocolate.com website." I mentioned that Chocolate.com has every kind of chocolate, as a vegan I appreciate that they have a vast selection of vegan chocolates. I had the opportunity to sample Cashew Clusters from Smith Organic Chocolates. These chocolates are vegan, and sensational! if you're not a vegan I would encourage you to try these vegan cashew clusters. The dark chocolate has a pure, rich taste. I love all chocolate, but I feel vegan chocolates are the best taste wise. There are also many health benefits to be had from pure dark chocolate. I was sent 12 of these deletable cashew clusters and as to be expected they are just about gone, and it is not for lack of trying to exercise will power, oh how I tried. Chocolate.com accepts major credit cards along with Discover, Paypal and Google Checkout. They are also BBB accredited and earned an A+ which is something I value in a business. i love the dark choclate box for my fiance that is his faveortie chocalate. I'd love to get the Dark Signature Assortment 1 Lb. I was going to enter it until you mentioned glenn beck. I really don't want ANYTHING he's endorsed. I'd love to get the Dark Signature Assortment 1 Lb too! I like the Dark Chocolate box.Thanks for the chance. I would love to try the Huckleberry Mountain chocolates. I'm a gfc follower already. I want the chocolate haunted house! 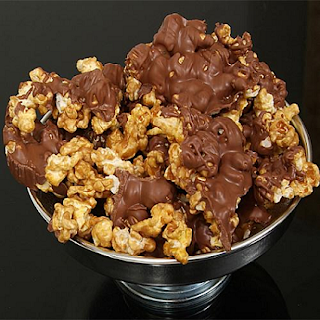 i want that chocolate popcorn! GFC follower and I would love to have the Sea Salt Caramel Collection. CHOCOLATE CHOCOLATE CHOCOLATE COMPANY in St. Louis. 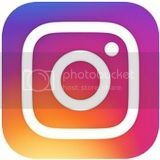 I follow via GFC as choirlady27. The milk chocolate gun! Oh I'd have to get that for my husband, too funny. Belgian truffles....just let me die right now...YUMM!! That white chocolate ghost sucker is too cute!! 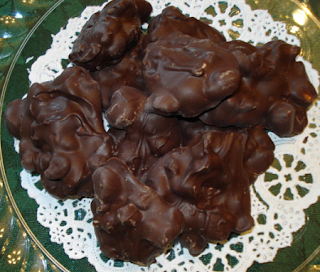 I also like the PMG Truffle Assortment 1lb. Yum! thanks for the introduction to chocolate.com! I also like the Dark Chocolate Collection! I love the Mama Vida Y Papa Muerte. You recommended the vegan cashew clusters so I would like to try those...12 Pieces Of Award Winning Chocolate In A Gift Box looks cool with the bright colors and pretty box...the chocolate prescription box is pretty funny...hard to choose! Peanut butter meltaways look great. 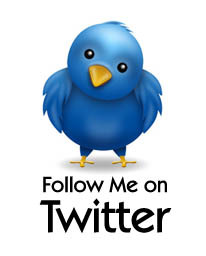 I follow you via GFC as Angie Lilly. I would love to try the Truffles To Go Chocolate Chai Spice! OMG sounds like heaven to me! Visited chocolate.com and liked the Liked the Champagne Chocolates and the Organic Fresh Raspberry Truffles. Also the Champagne chocolates. Truffles To Give 8pc Tin Hazelnut Butter also sound wonderful!!!!! I like the Classic FRENCH Ballotin Half Pound Assorted. i also like the halloween staircase. I follow via GFC. I like the Milk Chocolate Deluxe Assortment 1 Lb Box. I want to try the Vegan Chakra Truffles! I'd love to try the dark chocolate indulgence! I like the trick or treat chocolate basket! Thanks so much for the fantastic giveaway! I also like their Chocolate High Heel Shoe, too cool! OMG White chocolate swan truffles... Look delicious! I also like the Pumpkin Spice Caramels 8oz. Chocolate Cake Truffles, cause "Life is like a box of chocolates"
Chocolate Euphoria Cake 7 Inch. I love all the halloween candy, especially the chocolate ghost! I like the Milk Chocolate Deluxe Assortment 1 Lb Box. Also like the Dark Chocolate Aloha Rocky Road. The french macaroons look delicious! I'd get the Sea Salt Caramel Collection. I follow you via GFC. I'd take the Butlers Jameson Irish Whiskey Truffles. I like the Sea Salt Caramel Connection. And they have vegan chocolate? And other health restrictive chocolates and baking supplies? Thanks for sharing this website! I've def. bookmarked it! The Day of The Dead Stiletto is just amazing! Not sure I could eat it! 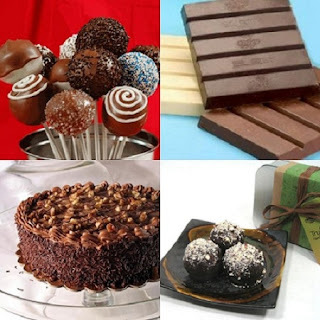 A chocoholics dream page! NEWTREE, Grand Haven, MI. Would make a great Christmas gift.